When you are trying to find ways to improve your sales, lots of people forget one of the most noticeable properties you need to make use of– your windows! Utilizing window graphics successfully can be a wonderful as well as inexpensive way of grabbing prospective consumers’ interest and increasing foot traffic to your shop. So just how do you make the most of this asset and possibility? How can you really maximize the benefits? Well, listed below are top five suggestions from Colorado Signs. The most essential point you could do, is to genuinely try to understand your clients. Or your potential clients. Go outside your shop. Imagine yourself a stranger strolling by. Where are they going? What are their problems? What kind of things might they be interested in? Do people tend to be wandering, or in a hurry? Is your business located in the city centre or on a calm street? Are they searching for ideas, something to make them laugh? And, even better, speak with people. Instead of just imaging, while you’re outside, interact with people and be the first to listen. This is where the best concepts and options originate from. When you’ve undergone a procedure of interacting with your clients and recognize their needs and demands, you could be left with a lot of information to digest. There might be a great deal of problems or questions, that you could focus on fixing. And you could have a lot of things within your shop that could be practical to them, if they only knew. But you have to be careful. Bear in mind, this isn’t really concerning telling them EVERYTHING THAT YOU DO … this is about capturing their attention and also revealing them ONE THING that would cause them to stop on their way, go in and see it with their own eyes. Additionally, it’s always worth taking the time at this stage to sort out all the insights and also info about your clients, to identify the thing you’re most likely to speak with them about. This should be the issue or area of need that you believe will be one of the most impactful. When designing the window graphics, it’s essential that you’re visualizing every element of the passer-by’s experience. You need strong, captivating designs that do not just look as great as an image on a display, yet help your potential audience, capturing their focus no matter where they are going. However, strong design doesn’t mean that you should bring too much into it. First and foremost, the message you deliver should be clear. Make sure you balance visual appeal with being practical. For example, the text should always be at the right eye level, aligned and do not blend with the background. Be also very careful when choosing the color scheme since each shade has something a little different to say. It is proved that green makes people think of nature and environment, while red causes stormy emotions like passion or anger. Yellow, on the other hand, is associated with the sun and creates a feeling of happiness, and light blue is more calming and passive. Once the final graphic has been selected, sent to print and your installation date is verified, the majority of people believe their work’s already done and they can sit back and relax. However, it’s not time yet. 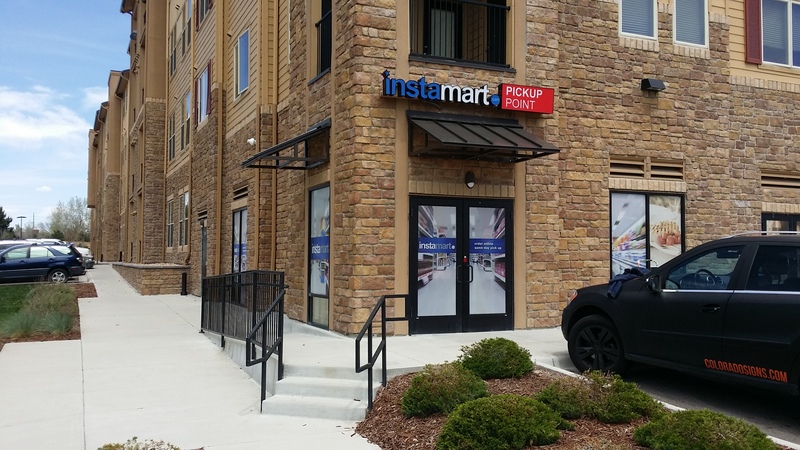 Your window graphics may look fantastic (at least, if done together with Colorado Signs), but does your office or store deliver the same message? Your sign or window graphic is a powerful tool to bring people through the door for the first time, yet it’s their indoors impression will determine if they turn into a one-off or returning customer. Whether the graphics highlight a special deal on price, an exclusive product or exceptional service you provide your customers with, you should live up to those promises. Contact Colorado Signs to build a new impression and extend your customer network today! Line them up and knocking them out. Happy Wednesday. At Colorado Signs we are committed to our customers. See what they're saying about us. Our new flatbed digital finisher hard at work. #10 for colorado parks is a wrap. 30 to go. Happy friday! Cut cut cut! Our new machine has arrived! © 2019 Colorado Signs and Wraps.